If someone granted you one wish, what do you imagine you would want out of life that you haven't gotten yet? For many people, it would be self-improvement and knowledge. New knowledge is the backbone of society's progress. Great thinkers such as Leonardo da Vinci, Thomas Edison, Benjamin Franklin, Albert Einstein, and others' quests for knowledge have led society to many of the marvels we enjoy today. Your quest for knowledge doesn't have to be as Earth-changing as Einstein's, but it can be an important part of your life, leading to a new job, better pay, a new hobby, or simply knowledge for knowledge's sake — whatever is important to you as an end goal. Life-changing knowledge does typically require advanced learning techniques. In fact, it's been said that the average adult only uses 10% of his/her brain. Imagine what we may be capable of with more advanced learning techniques. Here are 77 tips related to knowledge and learning to help you on your quest. A few are specifically for students in traditional education institutions; the rest for self-starters, or those learning on their own. Happy learning. 1. Shake a leg. Lack of blood flow is a common reason for lacks of concentration. If you've been sitting in one place for awhile, bounce one of your legs for a minute or two. It gets your blood flowing and sharpens both concentration and recall. 2. Food for thought: Eat breakfast. A lot of people skip breakfast, but creativity is often optimal in the early morning, and it helps to have some protein for you to feed your brain. A lack of protein can actually cause headaches. 3. Food for thought, part 2: Eat a light lunch. Heavy lunches have a tendency to make people drowsy. While you could turn this to your advantage by taking a "thinking nap" (see #23), most people haven't learned how. 4. Cognitive enhancers: Ginkgo biloba. Ginkgo biloba is a natural supplement that has been used in China and other countries for centuries and has been reputed to reverse memory loss in rats. It's also suggested by some health practitioners as a nootropic and thus a memory enhancer. 5. Reduce stress + depression. Stress and depression may reduce the ability to recall information and thus inhibit learning. Sometimes, all you need to reduce depression is more white light and fewer refined foods. 6. Sleep on it. Dr. Maxwell Maltz wrote about in his book Psycho-Cybernetics about a man who was paid good money to come up with ideas. He would lock his office door, close the blinds, turn off the lights. He'd focus on the problem at hand, then take a short nap on a couch. When he awoke, he usually had the problem solved. 7. Take a break. Change physical or mental perspective to lighten the invisible stress that can sometimes occur when you sit in one place too long, focused on learning. Taking a 5-15 minute break every hour during study sessions is more beneficial than non-stop study. It gives your mind time to relax and absorb information. If you want to get really serious with breaks, try a 20-minute ultradian break as part of every 90-minute cycle. This includes a nap break, which is for a different purpose than #23. 9. Change your focus. Sometimes there simply isn't enough time to take a long break. If so, change subject focus. Alternate between technical and non-technical subjects. 10. Change your focus, part 2. There are three primary ways to learn: visual, kinesthetic, and auditory. If one isn't working for you, try another. 11. Do walking meditation. If you're taking a hike (#25), go one step further and learn walking meditation as a way to tap into your inner resources and your strengthen your ability to focus. Just make sure you're not walking inadvertently into traffic. 12. Focus and immerse yourself. Focus on whatever you're studying. Don't try to watch TV at the same time or worry yourself about other things. Anxiety does not make for absorption of information and ideas. 13. Turn out the lights. This is a way to focus if you are not into meditating. Sit in the dark, block out extraneous influences. This is ideal for learning kinesthetically, such as guitar chord changes. 16. Speedread. Some people believe that speed reading causes you to miss vital information. The fact remains that effective speed reading results in filtering out irrelevant information. If necessary, you can always read and re-read at slower speeds. Slow reading actually hinders the ability to absorb general ideas. (Although technical subjects often require slower reading.) If you're reading online, you can try the free Spreader Web-based application. 17. Use acronyms and other mnemonic devices. Mnemonics are essentially tricks for remembering information. Some tricks are so effective that proper application will let you recall loads of mundane information years later. 19. Brainmap it. Need to plan something? Brain maps, or mind maps, offer a compact way to get both an overview of a project as well as easily add details. With mind maps, you can see the relationships between disparate ideas and they can also act as a receptacle for a brainstorming session. 21. Use information design. When you record information that has an inherent structure, applying information design helps convey that information more clearly. A great resource is Information Aesthetics, which gives examples of information design and links to their sources. 22. Use visual learning techniques. Try gliffy for structured diagrams. Also see Inspiration.com for an explanation of webs, idea maps, concept maps, and plots. 23. Map your task flow. Learning often requires gaining knowledge in a specific sequence. Organizing your thoughts on what needs to be done is a powerful way to prepare yourself to complete tasks or learn new topics. 24. Stimulate ideas. Play rhyming games, utter nonsense words. These loosen you up, making you more receptive to learning. 25. Brainstorm. This is a time-honored technique that combines verbal activity, writing, and collaboration. (One person can brainstorm, but it's more effective in a group.) It's fruitful if you remember some simple rules: Firstly, don't shut anyone's idea out. Secondly, don't "edit" in progress; just record all ideas first, then dissect them later. Participating in brainstorming helps assess what you already know about something, and what you didn't know. 26. Learn by osmosis. Got an iPod? Record a few of your own podcasts, upload them to your iPod and sleep on it. Literally. Put it under your pillow and playback language lessons or whatever. 27. Cognitive enhancers: binaural beats. Binaural beats involve playing two close frequencies simultaneously to produce alpha, beta, delta, and theta waves, all of which produce either sleeping, restfulness, relaxation, meditativeness, alertness, or concentration. 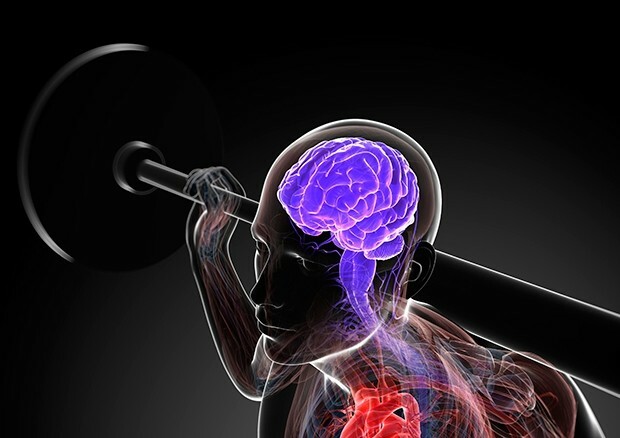 Binaural beats are used in conjunction with other exercises for a type of super-learning. 29. Write, don't type. While typing your notes into the computer is great for posterity, writing by hand stimulates ideas. The simple act of holding and using a pen or pencil massages acupuncture points in the hand, which in turn stimulates ideas. 30. Carry a quality notebook at all times. Samuel Taylor Coleridge dreamed the words of the poem "In Xanadu (did Kubla Khan)...". Upon awakening, he wrote down what he could recall, but was distracted by a visitor and promptly forgot the rest of the poem. Forever. If you've been doing "walking meditation" or any kind of meditation or productive napping, ideas may suddenly come to you. Record them immediately. 31. Keep a journal. This isn't exactly the same as a notebook. Journaling has to do with tracking experiences over time. If you add in visual details, charts, brain maps, etc., you have a much more creative way to keep tabs on what you are learning. 32. Organize. Use sticky colored tabs to divide up a notebook or journal. They are a great way to partition ideas for easy referral. 33. Use post-it notes. Post-it notes provide a helpful way to record your thoughts about passages in books without defacing them with ink or pencil marks. 34. Give yourself credit. Ideas are actually a dime a dozen. If you learn to focus your mind on what results you want to achieve, you'll recognize the good ideas. Your mind will become a filter for them, which will motivate you to learn more. 35. Motivate yourself. Why do you want to learn something? What do want to achieve through learning? If you don't know why you want to learn, then distractions will be far more enticing. 36. Set a goal. W. Clement Stone once said, "Whatever the mind of man can conceive, it can achieve." It's an amazing phenomenon in goal achievement. Prepare yourself by whatever means necessary, and hurdles will seem surmountable. Anyone who has experienced this phenomenon understands its validity. 37. Think positive. There's no point in setting learning goals for yourself if you don't have any faith in your ability to learn. 38. Organize, part 2. Learning is only one facet of the average adult's daily life. You need to organize your time and tasks else you might find it difficult to fit time in for learning. Try Neptune for a browser-based application for "getting things done." 39. Every skill is learned. With the exception of bodily functions, every skill in life is learned. Generally speaking, if one person can learn something, so can you. It may take you more effort, but if you've set a believable goal, it's likely an achievable goal. 40. Prepare yourself for learning. Thinking positive isn't sufficient for successfully achieving goals. This is especially important if you are an adult, as you'll probably have many distractions surrounding your daily life. Implement ways to reduce distractions, at least for a few hours at a time, else learning will become a frustrating experience. 41. Prepare yourself, part 2. Human nature is such that not everyone in your life will be a well-wisher in your self-improvement and learning plans. They may intentionally or subconsciously distract you from your goal. If you have classes to attend after work, make sure that work colleagues know this, that you are unable to work late. Diplomacy works best if you think your boss is intentionally giving you work on the days he/she knows you have to leave. Reschedule lectures to a later time slot if possible/ necessary. 42. Constrain yourself. Most people need structure in their lives. Freedom is sometimes a scary thing. It's like chaos. But even chaos has order within. By constraining yourself — say giving yourself deadlines, limiting your time on an idea in some manner, or limiting the tools you are working with — you can often accomplish more in less time. 43. Read as much as you can. How much more obvious can it get? Use Spreader (#33) if you have to. Get a breadth of topics as well as depth. 44. Cross-pollinate your interests. Neurons that connect to existing neurons give you new perspectives and abilities to use additional knowledge in new ways. 45. Learn another language. New perspectives give you the ability to cross-pollinate cultural concepts and come up with new ideas. As well, sometimes reading a book in its original language will provide you with insights lost in translation. 46. Learn how to learn. Management Help has a resource page, as does SIAST (Virtual Campus), which links to articles about learning methods. They are geared towards online learning, but no doubt you gain something from them for any type of learning. If you are serious about optimum learning, read Headrush's Crash course in learning theory. 47. Learn what you know and what you don't. Many people might say, "I'm dumb," or "I don't know anything about that." The fact is, many people are wholly unaware of what they already know about a topic. If you want to learn about a topic, you need to determine what you already know, figure out what you don't know, and then learn the latter. 48. Multi-task through background processes.Effective multi-tasking allows you to bootstrap limited time to accomplish several tasks. Learning can be bootstrapped through multi-tasking, too. By effective multitasking, I don't mean doing two or more things at exactly the same time. It's not possible. However, you can achieve the semblance of effective multitasking with the right approach, and by prepping your mind for it. For example, a successful freelance writer learns to manage several articles at the same time. Research the first essay, and then let the background processes of your mind take over. Move on consciously to the second essay. While researching the second essay, the first one will often "write itself." Be prepared to record it when it "appears" to you. 49. Think holistically. Holistic thinking might be the single most "advanced" learning technique that would help students. But it's a mindset rather than a single technique. 50. Use the right type of repetition. Complex concepts often require revisiting in order to be fully absorbed. Sometimes, for some people, it may actually take months or years. Repetition of concepts and theory with various concrete examples improves absorption and speeds up learning. 51. Apply the Quantum Learning (QL) model. The Quantum Learning model is being applied in some US schools and goes beyond typical education methods to engage students. 52. Get necessary tools. There are obviously all kinds of tools for learning. If you are learning online like a growing number of people these days, then consider your online tools. One of the best tools for online research is the Firefox web browser, which has loads of extensions (add-ons) with all manner of useful features. One is Googlepedia, which simultaneously displays Google search engine listings, when you search for a term, with related entries from Wikipedia. 53. Get necessary tools, part 2. This is a very nice tip, but if you want to learn fast-track methods for building software, read Getting Real from 37 Signals. The Web page version is free. The techniques in the book have been used to create Basecamp, Campfire, and Backpack web applications in a short time frame. Each of these applications supports collaboration and organization. 54. Learn critical thinking. As Keegan-Michael Key's character on MadTV might say, critical thinking takes analysis to "a whole notha level". Read Wikipedia's discourse on critical thinking as a starting point. It involves good analytical skills to aid the ability to learn selectively. 55. Learn complex problem solving. For most people, life is a series of problems to be solved. Learning is part of the process. If you have a complex problem, you need to learn the art of complex problem solving. 56. Be engaging. Lectures are one-sided and often counter-productive. Information merely heard or witnessed (from a chalkboard for instance) is often forgotten. Teaching is not simply talking. Talking isn't enough. Ask students questions, present scenarios, engage them. 57. Use information pyramids. Learning happens in layers. Build base knowledge upon which you can add advanced concepts. 58. Use video games. Video games get a bad rap because of certain violent games. But video games in general can often be an effective aid to learning. 59. Role play. Younger people often learn better by being part of a learning experience. For example, history is easier to absorb through reenactments. 60. Apply the 80/20 rule. This rule is often interpreted in dfferent ways. In this case, the 80/20 rule means that some concepts, say about 20% of a curriculum, require more effort and time, say about 80%, than others. So be prepared to expand on complex topics. 61. Tell stories. Venus Flytrap, a character from the sitcom WKRP in Cincinnati, once taught a student gang member about atoms, electrons, and protons by saying that an atom was one big neighborhood, and the protons and neutrons had their own smaller neighborhoods and never mixed. Just like rival gangs. The story worked, and understanding sparked in the students eyes. 62. Go beyond the public school curriculum. The public school system is woefully lacking in teaching advanced learning and brainstorming methods. It's not that the methods cannot be taught; they just aren't. To learn more, you have to pay a premium in additional time and effort, and sometimes money for commercially available learning tools. There's nothing wrong with that in itself, but what is taught in schools needs to be expanded. This article's author has proven that a nine-year old can learn (some) university level math, if the learning is approached correctly. 63. Use applied learning. If a high school student were having trouble in math, say with fractions, one example of applied learning might be photography, lenses, f-stops, etc. Another example is cooking and measurement of ingredients. Tailor the applied learning to the interest of the student. 64. Be engaged. Surprise. Sometimes students are bored because they know more than is being taught, maybe even more than a teacher. (Hopefully teachers will assess what each student already knows.) Students should discuss with a teacher if they feel that the material being covered is not challenging. Also consider asking for additional materials. 65. Teach yourself. Teachers cannot always change their curricula. If you're not being challenged, challenge yourself. Some countries still apply country-wide exams for all students. If your lecturer didn't cover a topic, you should learn it on your own. Don't wait for someone to teach you. Lectures are most effective when you've pre-introduced yourself to concepts. 66. Collaborate. If studying by yourself isn't working, maybe a study group will help. 68. Write about it. An effective way to "teach" something is to create an FAQ or a wiki containing everything you know about a topic. Or blog about the topic. Doing so helps you to realize what you know and more importantly what you don't. You don't even have to spend money if you grab a freebie account with Typepad, Wordpress, or Blogger. 69. Learn by experience. Pretty obvious, right? It means put in the necessary time. An expert is often defined as someone who has put in 10,000 hours into some experience or endeavor. That's approximately 5 years of 40 hours per week, every week. Are you an expert without realizing it? If you're not, do you have the dedication to be an expert? 70. Quiz yourself. Testing what you've learned will reinforce the information. Flash cards are one of the best ways, and are not just for kids. 71. Learn the right things first. Learn the basics. Case in point: a frustrating way to learn a new language is to learn grammar and spelling and sentence constructs first. This is not the way a baby learns a language, and there's no reason why an adult or young adult has to start differently, despite "expert" opinion. Try for yourself and see the difference. 72. Plan your learning. If you have a long-term plan to learn something, then to quote Led Zeppelin, "There are two paths you can go by." You can take a haphazard approach to learning, or you can put in a bit of planning and find an optimum path. Plan your time and balance your learning and living. 73. Persist. Don't give up learning in the face of intimdating tasks. Anything one human being can learn, most others can as well. Wasn't it Einstein that said, "Genius is 1% inspiration and 99% perspiration"? Thomas Edison said it, too. 74. Defy the experts. Dyslexia, in a nutshell, is the affliction of mentally jumbling letters and digits, causing difficulties in reading, writing and thus learning. Sometimes spoken words or numbers get mixed up as well. In the past, "experts" declared dyslexic children stupid. Later, they said they were incapable of learning. This author has interacted with and taught dyslexic teens. It's possible. Helen Keller had no experience of sight, sound, or speech, and yet she learned. Conclusion: There is more than one way to learn; never believe you cannot. 75. Challenge yourself. People are often more intelligent than they realize. In a world that compartmentalizes and categorizes everything, not everyone is sure where they fit in. And genius can be found in many walks of life. If you honestly suspect that there's more to you than has been "allowed" to be let out, try an IQ test such as the one offered by MENSA. It's unlike the standardized IQ tests given in many schools. You know the kind — the ones which traumatize many young students into thinking they are stupid, simply because the tests don't really assess all student's knowledge and learning ability. And the ability to learn is far, far more important than what you already know. 76. Party before an exam. Well, don't go that far. The key is to relax. The worse thing to do is cram the night before an exam. If you don't already know a subject by then, cramming isn't going to help. If you have studied, simply review the topic, then go do something pleasant (no more studying). Doing so tells your brain that you are prepared and that you will be able to recall anything that you have already learned. On the other hand, if you didn't spend the semester learning the ideas you need, you might as well go party anyways because cramming at the last minute isn't going to help much at that point. 77. Don't worry; learn happily. Have a real passion for learning and want to share that? Join a group such as the Joyful Jubilant Learning community [via LifeHack].